Kolkata: While the Indian Premier League (IPL) will be all about workload management for many ahead of the World Cup, for Joe Denly the cash-rich T20 league will provide a platform to impress the national selectors. A top-order batsman who is more than handy with his wily leg-spin, England's Denly was roped in by Kolkata Knight Riders (KKR) for his base price of Rs 1 crore. Denly recently made his Test debut in the West Indies and also played the T20s in the Caribbean scoring 32 runs in two innings and helping England win the series 3-0. He did not get to bat in the third rubber. "I want to come here and play as many games as I can. It's important leading into the World Cup," Denly told IANS in an interview. Part of the England ODI squad in the West Indies, Denly is yet to cement his place in the playing XI, having last played for England in 2009. Overall, Denly has donned the national team jersey nine times in 50-over cricket. He was out of reckoning for 10 years before having his best season in white-ball cricket for Kent, taking their most runs and wickets as they reached the Royal London Cup final. "Hopefully I get some game-time here and can contribute to some good performances. And then hopefully the England selectors will be watching them," the 33-year-old said. Denly was handed a chance to claim a World Cup place during England's tour of Sri Lanka last year when he replaced injured Liam Dawson. Since then, he has been in the scheme of things. Hosts England are billed as one of the favourites to lift their maiden World Cup. Denly, though, believes the pressure is not on them as they know there are other good teams also who present a strong case for themselves. "If you see it as a pressure it can be. But for us, we understand that there will be some very good teams in the World Cup, there is no doubt about that. "We will just be focussing on trying to produce our best cricket each game we play. Hopefully that leads to success." 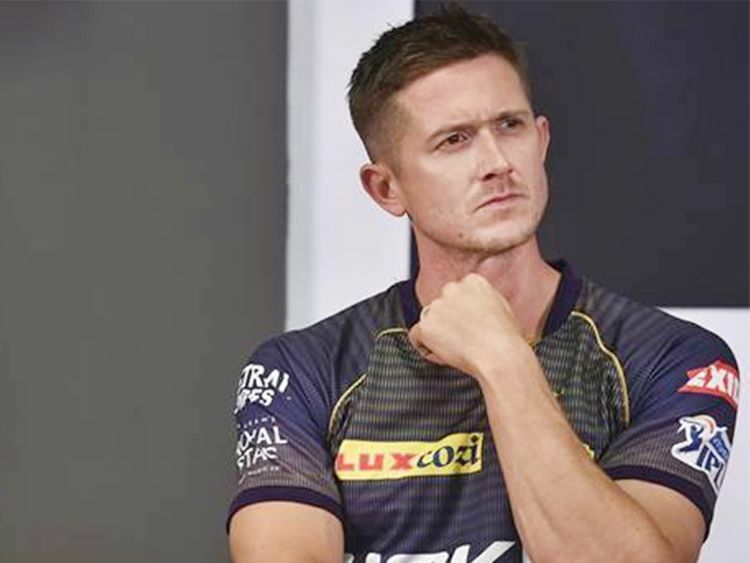 Asked if he sees himself getting enough game time with KKR having an abundance of riches in their batting armoury, Denly said: "We have got some quality players. I think that's a great position to be in. As a franchise, when you have top quality batsmen, it makes life difficult for selectors. "Hopefully, I can put my hand up and be in games but when not I can understand there are some very good players in this franchise. It's a great position for KKR to be in and we can see that hopefully throughout the competition." Having come to this part of the world as a boy, with the England U-19s more than a decade back, Denly said he is looking forward for his first taste of the IPL at the colossal Eden Gardens.